We all have something in common. Compassion comes to mind. Whether we have survived trauma or had a rosy childhood, life has it's moments. I have heard it all, from, "God gives you hardship because you can handle it" to "S*** happens for a reason" and I would like to embrace the latter. For most of my life, I carried around this victim type mentality. It was after discovering other's pain that I realized there is no level of pain. What we do with our trauma, weaknesses, and pain determines our character and I am here to invest in how we, as a species, can utilize our weaknesses. I don't have a clue how to harness my niche or genre but with all of your support, I believe anything is possible. Thank you to each and every one of you for taking the time to read this and I look forward to meeting all of you, especially Kyle, the genius mastermind who has done wonders for the greater good. Kyle, I hope I can utilize this extraordinary gift so that I too can share with my beautiful family, friends, and those I have not had the pleasure of meeting. Thank you everyone and to say that I am elated is an understatement. I work out of State, in fact I travel some 5000 miles a month via rental car as a Compliance Inspector in the Petroleum Industry. I work in 9 States about 95 hours a week for 18 to 20 days straight, hence the reason I am so late to respond to your kind remarks. I will try to keep up, as this is a new challenge for me as well. You are going to do well here! It is really all about finding your passion and harnessing your life lessons to allow you to help others. Everyone one on the internet is looking for something. You can create that something that helps them look past being a victim and look forward to being an overcomes. Think about it and you will find your niche that is perfect and something millions will be able to benefit from..
We are born with a desire to help others more than a desire for wealth. Why can't helping others bring you wealth? Greetings from the Jersey Shore ,Danielle. How to utilizes our weaknesses sounds like a very good niche to me. Especially with all the incidences of SocialMedia comments tearing others down. I would not like going through teenage and young adult years during these times. Very difficult! If I can be of any help to you , don't hesitate to ask . WIshing you all the best that WA has to offer! You are a genius my dear! I didn't think about that as a niche but going to do it thanks to you! Almost done with the training. I am stuck on what I should sell or promote. Better to pick one thing to start right? Indeed I will! Thanks for taking your valuable time to validate me! I hope you're enjoying the training. If you have a product or product line that you could promote, then you may want to consider doing that first. Then, if that starts to work out for you, then you can start to promote. I believe it would be easier at the start to focus on one. Hello, there! I also believe you are here for a reason - to succeed in chasing your dreams. Me too, I didn't have a clue about niches the time I joined. The best way is to do all your lessons, you will be surprised how quickly all things will fall into place. All the best. Thanks for inspiring me. All I really want to do is help others. Not help so much, maybe just be there to talk to, you know? I want to be there for those contemplating their place on this earth and offer compassion or just validation. I have been to that place where I thought this is it, it is the end and I called a 1-800 suicide number to have some guy on the other line basically say uh-huh and repeat everything I said or repeated it as a question. Ugh. That is exactly what I needed to hear! Thanks so much! I believe you are right in utilizing our weakness, but I have learned in my 57 years on planet earth, that if we were always strong, we would have no need for each other. In my weakness I call on the strength of God to overcome what I cannot. He is faithful in placing someone in our path to strengthen our resolve, it is here we overcome and mentor others to do the same. Hi Danielle, Firstly welcome to Wealthy Affiliate and secondly thank you for the follow much appreciated. Now that you have finished the first course and gone Premium (congrats on that too by the way) the other training courses and lessons Kyle has, you will start to developed a greater idea of how to bring your talents to the forefront for other's to benefit. Always Strive to Succeed and YOU will Achieve. It is indeed a pleasure to have your support! Thanks so much! You are welcome, enjoy WA and enjoy all you do in life. Truly a delight to be inspired by you, obviously someone who knows what success means and I thank you for your inspiration! You are most welcome. Have a great week ahead. I love your words of expression. I have heard and so much believe in this: Pressure reveals the man. Man becomes what he Wills/Determines to become consciously or unconsciously. Mind is the Master of Man. Really! What's on your Mind is in your World. Developing a healthy mindset is not an easy thing to do but, it most certainly can be done. When we SHIFT our attitudes from bad to GOOD and I Can't to I CAN, we begin to shift our reality and now we begin to journey through a more fuller life. My best wishes to you: Health, Happiness and Financial & Time Freedom. Hello Danielle,♫Welcome! Nice to meet you ツ I wish you a lot of learning pleasure and fun on WA. Thank you for adding me to your network. Hello Danielle and welcome to Wealthy Affiliate. Thanks for the FOLLOW ME click. What an interesting profile. I think there seems to be a lot of good minded folk here at WA. Your right - Kyle & Carson's vision and talents has created something of very special value to all of us. Best wishes in your endeavours. Thank you Danielle for the follow and many blessings to you here at WA. As a Premium Member you are probably aware of the AWESOME and FREE WA Keyword Tool we have unlimited access to. I really don't know how you do it but you do and make it look effortless. I have used quite a few of your trainings and I thank you for knowing who to go to in times of those huh? moments. I have to literally pull myself away from WA, it's completely addicting. Best addiction ever if I say so myself. Thanks again for being a valued educator and even more wonderful human being. Ok, no psychic abilities allowed. I was seriously stuck wandering aimlessly in keyword research land so I can't thank you enough, really! "after discovering other's pain that I realized there is no level of pain". It sounds so sad....are talking about physical or emotional pain? Thank you Danielle for honest answer. I believe I understand what you are saying. I will PM you shortly. Nice work setting up your account Danielle, it's great to see you taking action and moving forward within WA! Thanks so much. I would like to take you up on helping me with a niche. I realize without yet being a premium member, I figured I would start Affiliate Ads. I wanted to start with a key search work beginning with an A, and be as close to Amazon as a search word. Will that make a difference or can I pick any search word, ie. regardless of what it begins with. I must admit I am a little confused lol. What do you mean by "I figured I would start Affiliate Ads"? Please clarify this. Also, I'm not sure what you mean by "key search work beginning with an A, and be as close to Amazon as a search word"? If you mean, you want to choose a keyword close to something like 'Amazon' then I do not recommend this at all. Reason being, this is WAY too broad for a keyword/ niche website topic. You really want to drill down and find an actual niche. The key is to start with a passion or interest. And work from there. This is just a quick example, there are SO many options within 'wine' alone. I picked this because I remember you run a successful winery and know your stuff! This is good. When it comes to keywords within your domain name, this is optional. You can do this if it makes sense and it can help you rank, but it's not the be all end all either. You can have just as much success with a more 'brandable' domain name too, with little-no keywords in it. I will have the aha moment and hopefully this will be amusing to you, much later. I always appreciate your advice! If I find helping the WA community and after completing the necessary training, would you advise promoting WA through the Affiliate Program and if so, is it lucrative? For sure, you can absolutely begin promoting WA. It can be easier to tackle a lower competition niche first, but by all means WA is a great thing to promote, and there's plenty of money to be made. The 'make money' niche is one of the biggest niches online so the profit potential is practically endless. Envision me in the front of the classroom as the annoying one projecting her arm as high as it will go, pick me, pick me. I honestly don't have a clue how you respond so efficiently, unless you have secretly cloned yourself. Bad joke. Ok, now that I enjoy talking with this incredible community, what if I decided to strictly promote WA as an Ambassador? Could I earn a nice chunk of change in doing so? You can promote anything you like, if you are going to head in the "Make Money" or related niche, you will want to go through the Affiliate Bootcamp. I do recommend though that you choose a niche that you are passionate or interested in. That way you love what you are doing. What if I did something to do with diet or adult coaching or inspiring others or motivational? Yea, sorry, my brain is going on overload status. It's good, for me, not so much for you. Falling under Health and Nutrition? You can make also make money blogging if I remember correctly? I also made an impulse buy on a domain name that I wish I could get back but once a domain is purchased, what should I do with it? It is catchy but it has nothing to do with diet culture. Are sexuality/relationships not on the table? I believe as a society, we don't talk enough about such a stigmatized subject. Any thoughts? Welcome to WA - lots to learn here and many to help you. Wow, what can I say? It's people like you that make the difference in this world. That was a wealth of knowledge you shared and took the time to include me so I thank you from the bottom of my heart! well hope you have much success here then. To all my WA family members. Is it me or is it weird to harbor a sense of guilt walking away from my computer? I need to run some errands and for the first time in my life, I feel like I am abandoning my computer, moreso my community! I am honest to my detriment but I would rather be the student that asks the awkward question so at least one person can be relieved of embarrassment. If I get a laugh or two, all the better. You will get used to that. But this site is not going anywhere. The key is to keep coming back, again and again. There will be days when you absolutely can't, and that is fine, too. You just play catch up for awhile after that. Just keep at it, be as diligent as you can, and you will succeed. Happy errands! I feel like you are my personal trainer, it's wonderful to be thought of so often, especially by you! Hi Danielle, welcome to WA! Anyways Danielle, it's wonderful to have you as part of the community here at WA and I wish you the very best of success on your journey here! I sincerely appreciate your support and thank you for this opportunity. I have so much to offer this world and compassion definitely comes to mind. I will know when the time is right to jump on my niche. The support is incredible as are people like you. I am rather embarrassed that I didn't thank you first and foremost! Well, you know I am appreciative to you and can't thank you enough for your support! Thanks thank you and thanks Tim. What an honor it is to feel part of this family. I am literally getting butterflies. Such a wealth of information you have provided. 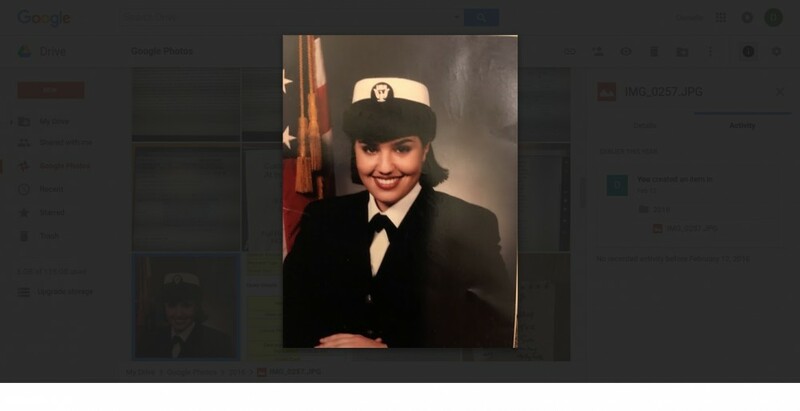 I wanted you to know I am a Veteran of the U.S. Navy and I have had the privilege of starting from the ground up, no pun intended, a successful vineyard operation to a thriving Winery. 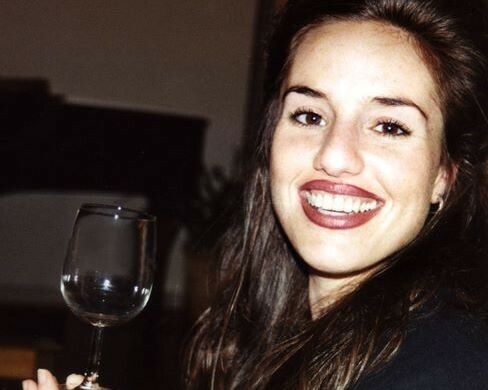 I am a seasoned veteran of Napa Valley's Premiere Wine Industry of over 16+ years and I have since relocated. My life begins here and I am all about fresh starts as well as fresh ideas. P.S. Yes, it would behoove me to become a PREMIUM member. It sounds like you have a wealth of experience and knowledge in different fields and your winery business sounds awesome!